Rooms from $73.00 per night. Description This Helen, Georgia motel has free internet access and non-smoking guest rooms. This hotel is also pet friendly. 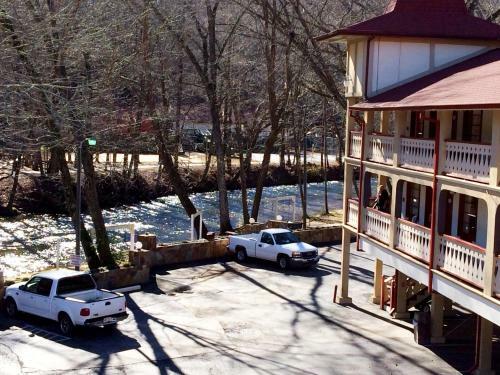 Located adjacent to the Chattahoochee River guests at this Georgia motel can go rafting fishing or swimming in the river. Guests can also enjoy a daily continental breakfast throughout their stay.All guest rooms feature a microwave small refrigerator and a flat-screen cable television. Select chalets at Helen Riverbend Motel and Cabins include a fully equipped kitchen balcony and spa bath. Some rooms feature a river view.Riverbend Motel and Cabins boasts free WiFi in public areas. Guests can create and enjoy meals outside at the barbecue facilities and picnic tables. 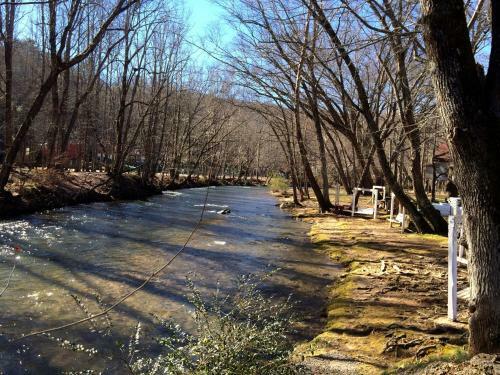 Vending machines are available.Guests will be adjacent to the Helen Tubing and Water Park and 2 miles from expansive Chattahoochee National Forest. Historic Helen city centre is 0.2 miles away. Add Riverbend Motel & Cabins to your free online travel itinerary.